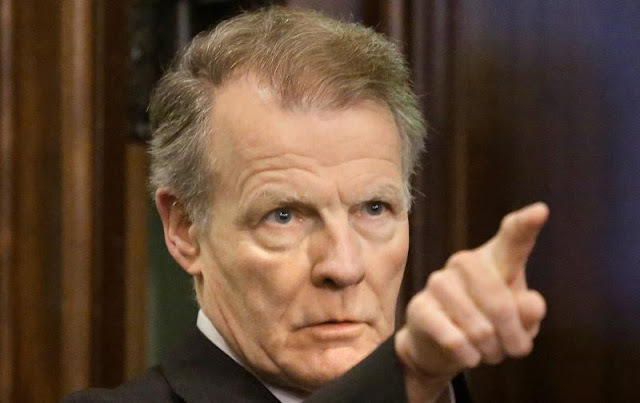 Amid repeated harassment allegations in Springfield, a transparency group says Illinois open records laws are what were lacking and were never addressed. Illinois lawmakers are largely exempt from open records laws and not subject to Freedom of Information Act requests. One reason for this is that individual members of the House and Senate are individuals, not public bodies. Even powerful members of the General Assembly aren't public bodies. It was that exception that helped shield them from the public amid anonymous allegations of harassment by hundreds of women and a handful who publicly named their alleged harassers. Eric Bradach, spokesman with the Illinois Campaign for Political Reform, said information about inappropriate behavior by lawmakers had to be released by the women who accused them. Bradach says there is no consistency between states regarding FOIA applicability of lawmaker information. Illinois is unique in lawmakers being exempt from any appeals to denied requests. “Because they are not subject to the review process, they can claim they are exempt from any FOIA request,” Bradach said. Springfield attorney Don Craven, who represents media organizations in open records lawsuits, expects the recent backlash over secrecy in dealing with harassment allegations to lead to changes in what the public can request from lawmakers that they must turn over. “There will be some language that will open up the records of the General Assembly on a whole variety of administrative matters,” he said. Many other state legislatures also deny records requests for the same reason.